When investing in property you want to reduce your risk as well as maximise your chance of getting good returns. This will speed up your journey towards financial freedom. When investing in property, you want to be able to reduce your risk as much as possible because you are investing a lot of money and you also want to be able to maximize your chance of getting good returns on that property because the better your returns, the faster you’ll achieve financial freedom. Hey, I’m Ryan from on-property, helping you achieve financial freedom. And today I have with me Ben Everingham buyer’s agent from pumped on property. You guys, thanks for having me back and welcome back to this series where we’re looking at first time property investors, how they can reduce their risk, maximize their returns, and achieve financial freedom. So in this episode we’re going to be looking at acquiring those foundational properties, which are the properties that are going to go on to help you achieve financial freedom and so things that you should look at so that you can reduce your risk so that you can maximize. I just felt like a broken record you guys are aware or at, um, so there’s three things that you want to look for when you’re purchasing property. And I’ll get ben to share those with you. He is a buyer’s agent, has purchase multiple properties for his own portfolio as well as over $350, million dollars for about 600 clients. When you say that it does, him and his business have bought a lot of property for their clients and they’re always looking for these three things in a property. Sure. So the three things are super simple. You’ve probably heard about them before. The first is longterm capital growth and the reason that’s important is because in the future you want your property be worth more than you paid for it. The second is cashflow because who doesn’t want to be financially free and have money coming into the bank, whether you’re awake or asleep. And the third is I like something because I’m a bit of an active dude to clean it up a little bit so that I can what they call manufacturer a bit of value when I buy as well. So there’s three things there and three different ways that you can make money. So capital growth, that area going up in value and that’s your property going up in value can make money that way. Positive cashflow, so earning more money in rental income, then you’re paying in expenses, making money that way, and then manufacturing growth would be something like doing a renovation or a mini development or something like that so you can actually create extra cash flow or extra equity in your property and make money that way, and the reason we look for these three things is that in a perfect situation, you’re going to make money in all three ways, going to get capital growth, cashflow and manufacture that growth, but if something happens and you don’t make money in one of these areas, you’ve still got those other two to make money for you. Or if you don’t make money in two areas, you’ve still got one of the slas. 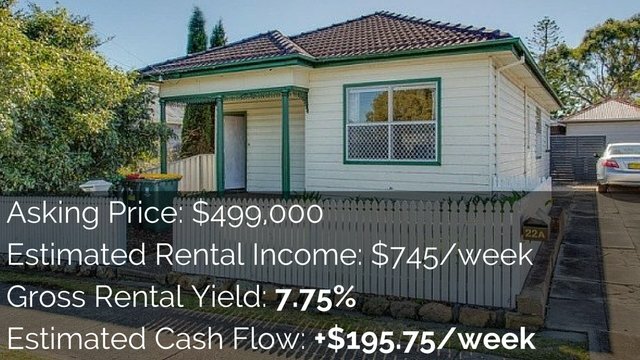 So if you invest at a bad time in the cycle and your property actually goes down in value, which a lot of people are scared of. If you’re in a positive cashflow position, you can still make money even though you’re in a negative equity situation and you can see out that market. Wait for it to go back up, but you’re still making money. In the meantime, you’re not bleeding cash that like, I love the fact that it gives you options, it you an option if you want to just sit there and wait for the long term, it gives you an option to not have to change your lifestyle in the short term and it gives you an option that if you do want to move forward a little bit faster and more aggressively to create value and you know, get above average returns or above market returns to actually reinvest in something else too. So wherever you sit as an investor, there’s an option there for ya. So what we’re going to do now is go a bit deeper into each of these three aspects, talk about them in more detail and talk about the things that you need to look out for and again, why these are so important. So we’ll start with the B one, which is capital growth. And a lot of people invest using capital growth as their only way of making money. They’re going to negatively gear their property, they’re going to hope for capital growth, but we don’t like investing in that way. Putting all your eggs in one basket because markets go in cycles and sometimes the market goes up, sometimes it’s skyrocketing like we’ve seen and then sometimes it goes backwards like we’re seeing as well. And so if you’re relying on that one thing, it’s not going to be good. I always rely on long term secure capital growth, which means buying quality markets and if we look at our history over the last 50 years, when you look at the Sydney, Melbourne, and Brisbane markets, I think they’ve all increased in value by an average of over nine and a half percent per year. So as a super conservative, low risk investor, even if it did half of that, which means my property doubles every 15 years, I’d be stoked. And you know, that’s the thing about investing for the long term. You don’t have to put massive pressure on a one year or six months per chance. You can, you know, consistently move with the cycle, but the trend is generally always going to be long, longterm. Yeah. 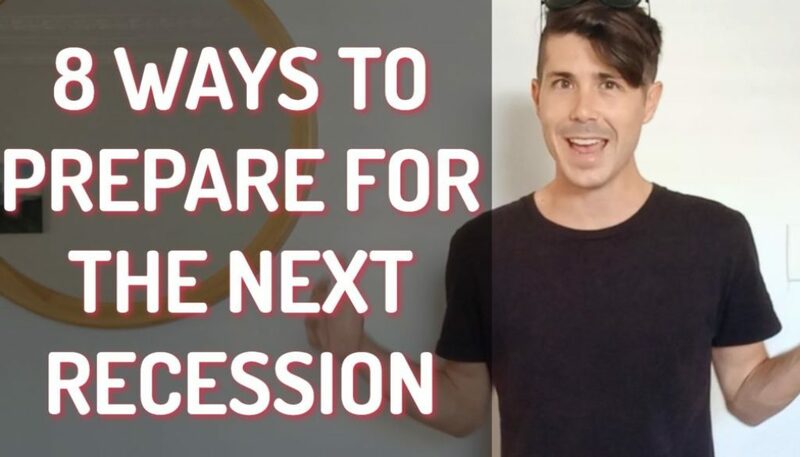 So big thing with capital growth is buying in those areas that are going to be quality for the future and we’re going to talk in the next video about how to find those suburbs and find the best areas to invest in. But with capital growth, that’s important to know that we’re not just after capital growth for those quick equity gains or that get rich quick. What we want to do is invest in a high quality area when we’re buying our foundational properties because we want that property to always be in demand. So we want that probably to be in demand. If we need to sell it, we want that property to be in demand when we need to rent it. And in 10 years, in 15 years, in 20 years when we’ve paid off our property and the rents now coming in and going into our bank account, we still want that property to be in demand. So if you buy in an area like a mining town that you might get some quick capital growth on that. Or is that mining town. So going to be around in 20 or 30 years and continue to pay us cash flow, we’ll who knows. So when we’re talking about capital growth, we’re looking at, yes, we want that growth so we can access the equity, etc. But we’re just one that solid demand on our property. 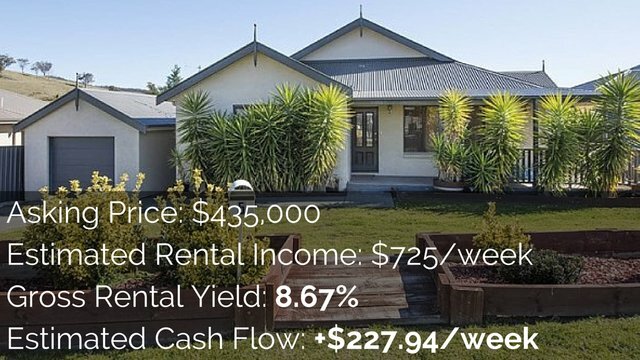 He said that we can always rent out property, we can increase the rents over time, which is going to improve our cashflow and that’s what we’re going to talk aBout in the next video is to go deep into that suburb research and how you can find a good market and a southern to invest in. Absolutely. You know, so what, what are your thoughts around cashflow on top of capital growth? Because a lot of people watching this probably go, you can go for cashflow or you can go for growth. But I think there’s a combination between that these days and yeah, well I have a sign on my fridge that says you can have both, but it just reminds me in every area of life not to think of this or that, but to think of this and that. I love that. And so with cashflow and capital growth, so many people say you have to choose one or the other. Sure, if you’re a lazy investor and you’re not willing to do any research, then you have to choose between capital growth and cash flow. But if you’re actually going to go ahead and do the research and not just buy any property on the market, but look for specific opportunities, then you can get both cash flow and capital growth or you can invest in an area for capital growth. You can create that cash flow through building something like a granny flat, which I know we do a lot with your clients. You can create that and it doesn’t have to be sacrificing that longterm growth eva, because you know, for example, in sydney 10 years ago you could’ve bought a nice home in an affordable price and build a granny flat and you’d be getting great cash flow plus growth. Obviously in tHe last 10 years in brisbane. You the similar sort of opportunities around. So it’s kind of nice, nice to know that you can have both in. For me, there’s two reasons why. One, when I own the properties outright in the future, I want the cash flow to be as high as possible for the debt that I repaid. Secondly, in the short term, I’ve got a family and I don’t want to be stressing out about paying anything off my properties. I want them to be completely covering themselves and so a nice combination there of cashflow and growth I think is you know what every investor that’s educated should be looking for. Yeah, and I think with the foundational properties, the reason we look for that cashflow as well is that then those properties will go and pay themselves off, which then releases the pressure from you to be in a high income job that you maybe dislike, and so if the property is a pain themselves off, they’re going to set up your financial freedom in the future, whether you have a good paying job or not because they’re just paying for themselves and so they will go on and do that and you can then live your life and that’s been more saying. It also gives you options as well. Life goes in twists and turns. It doesn’t go in a straight path upwards towards the top of the mountain. I’ve definitely learned that recently with the split from my wife and so life life goes into us interns and if you’re in a highly negatively geared situation where you need to be earning a high level of income to pay for those properties, well what happens if you do get a divorce or if a partner gets sick or if you get sick or if something happens in life where you can’t keep up that level of income, well then you’re going to have to sell that property and then you lose out on your future. You lose out on your financial freedom because you’re negatively geared, so being in that cashflow neutral cash flow positive situation is ideal because it just gives you that flexibility that life can do what life does and your property is still going to pay for themselves. I absolutely love that and for another reason because as you know, like I’m a pretty conservative, low risk investor that likes security and I don’t love change too much luck. As much as I’ve done a lot of stuff that would probably look at my life goes this, I’d be like, seriously, look, I like the idea that I don’t have to stress on anything. I like the idea that I don’t have to be even thinking about my portfolio during, you know, the next 25 years if I want it to last that long until I achieve what I’m after. So you know, I think from that perspective and a risk perspective more than anything else, it gives you a buffer as well against future interest rate rises. 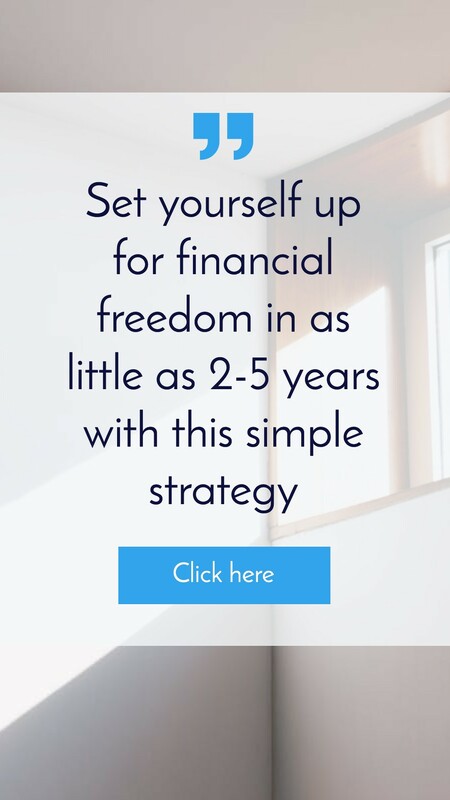 It gives you a buffer if you need some extra cash flow for one week and it enables you to just be in that position where you, you know, don’t really have to sacrifice your portfolio if times get tough in other areas of your life. And the third section is being able to manufacture growth. and so this is creating opportunities within the property. And so adding value to the property. This might be through something like a minor cosmetic renovation where you’re going to paint the property and just spruce up the bathroom and kitchen. And that could either increase the value of the property as a whole, which can help you then buy your second property if you can borrow against that or it could help you generate more cashflow. Yeah. And I mean, who doesn’t like to get their hands a little bit dirty? I’m not talking about mine and ryan’s hands like my wife, we have soft baby hands. My worst says that id value properties that I try and do stuff like legitimately. So I’m talking about, you know, outsourcing to that do, that can help you do the bathroom or cleaning up the yard or re painting. It’s like it’s really fun to take something that looks like this and make it look like this for a whole range of reasons outside of just making money as well. I think that stuff’s good for us. Good for the soul, good for the soul. Good for the ego as well. Yeah. Um, and as well with manufactured growth, it’s not something that you have to do straight away. So when you purchase a property you don’t instantly have to go ahead and manufactured growth and do a renovation. But just having that in your back pocket so that if the market does go backwards, then you can go ahead and renovate and build up your equity again, or if interest rates go up and all of a sudden you’re in a negative cashflow position, then you can do that renovation, boucher, cashflow, and get back into that positive state. So it’s about having that ace up your sleeve. So if you need it, you can do it, ran in the future. If you ever sell the property, sprucing it up, making it look beautiful, and then selling it to someone else who didn’t want to do the work for more than you know you actually paid for it. There’s just so many cool things about having that up your sleeve when you need it. So when you’re looking at your foundation on properties, these are properties you’re going to be holding long term into the future that are going to deliver you your financial freedom. You want to be looking for these three particular things, longterm capital growth, good quality suburb where there’s always going to be demand. That’s what we’re going to talk about more in the next video, how to find that you want to be looking for cashflow, being in a cashflow neutral cash flow, positive situation, and then you also want to look for ways to manufacture growth through something like a renovation or maybe a granny flat or something like that. So if you look for those three areas, then you’re going to reduce your risk because if you don’t make money in one way, you can make money in other ways and then you’re also going to maximize your chance of return because if all three do hit well, then you making money in three different ways. And so if you do that by those high quality properties, that’s going to set you up in a good position to hopefully achieve financial freedom rather than trying to pursue something extremely complicated like development, which is going to be high risk. Obviously high reward but very difficult. And I mean I know a lot of you guys are just sort of getting started. So you know, that might be something that you look at down the track but maybe not. You know, unless you’re an engineer or a town planner, something that you do shade off the cuff, so if you want to learn more about how you can invest in these foundational properties and where you can find them and you want some extra help, you want some one on one help, then ben and the team over at pumped on property or offering free strategy sessions to you guys so you can jump on the phone for them totally complimentary. Talk about where you’re at, where you want to be, and what’s your next steps going to be. 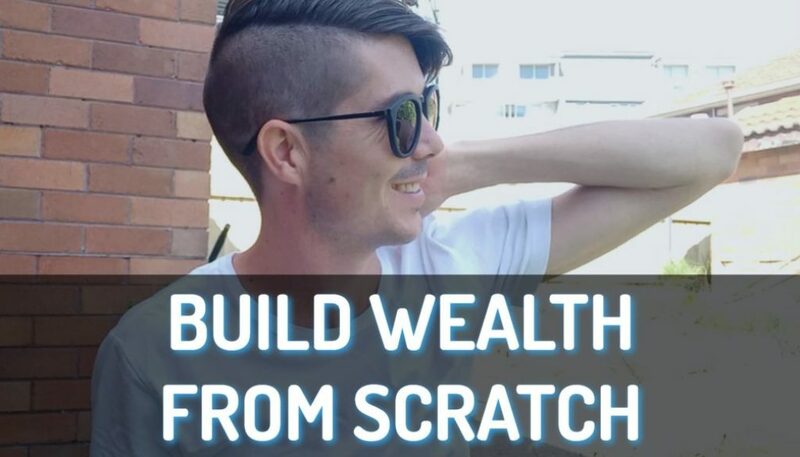 What are the best next steps to move you towards acquiring those foundational properties and achieving financial freedom so that’s something that you guys are interested in. Go to on-property dot com, forward slash session, or the link will be down below as well. You can click that book, a free strategy session. Go through that, get in the position where you’re ready to go ahead and invest and achieve that financial freedom. Then obviously if you want to work with the buyers agency team over here at pumped on property, you can or if you want to go out there and do it yourself, you can as well. So again, that’s on property.com, forward slash session. 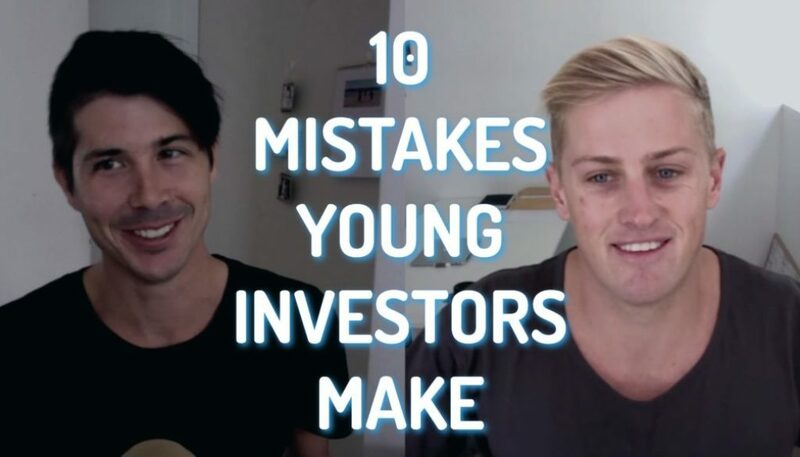 And in the next video we’re going to be talking about how to get that longterm capital growth. How do we invest in a good suburb and have the best chance of getting that growth? So that’s going to be coming out tomorrow. So look out for thAt one and until next time, stay positive.